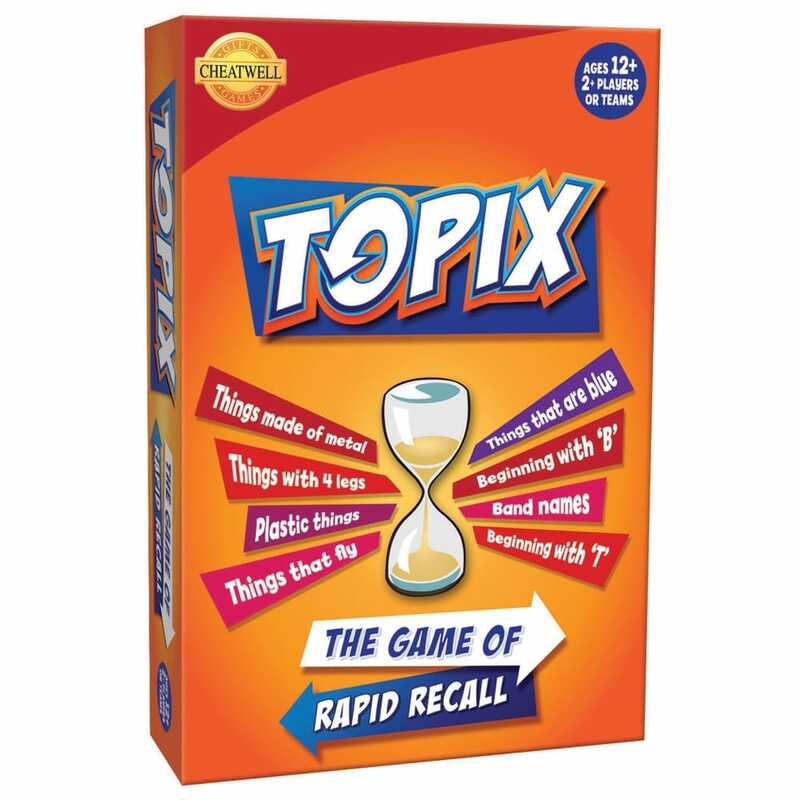 Topix board game is a rapid-recall game which is played against the clock, it's a rowdy race to write down as many examples you can to a given topic but only answers that are unique will count. Topix is fast and furious team fun for all the family and great for a night in with friends. An ideal game for all ages great for testing your memory, words and naming objects. Contents: Topix Cards (1 deck of pink and 1 deck of blue), playing board, 4 playing counters, topic answer pad, pencils, sand timer and rules.